It is one of history’s ironies that just as London hits more breweries than at any time in the past 110 years, its brewing capacity is more than halved with the closure of the last of the capital’s remaining megabreweries, at Mortlake. That the brewery at Mortlake, which has been pumping out hundreds of thousands of barrels a year of Budweiser for the past two decades, should have survived to be at least 250 years old this year is remarkable: it lost its independent in 1889, and the guillotine has been poised above its neck for the past six years. 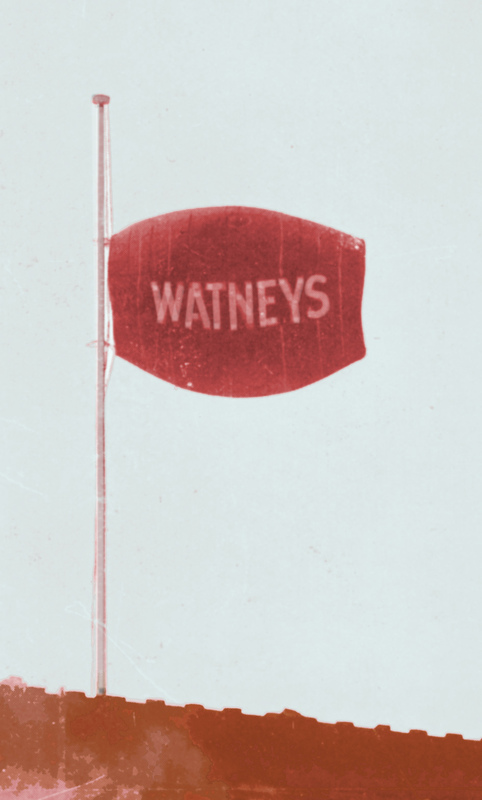 The Mortlake site, famous as the home of Watney’s Red Barrel, was one of eight huge breweries still operating in London in the mid-1970s, which between them made one in every five pints drunk in Britain. Four closed between 1975 and 1982: Charrington’s in Mile End, Whitbread’s on the northern edge of the City, Mann’s in Whitechapel and Courage by Tower Bridge. Truman’s brewery shut in Brick Lane in 1989, and Ind Coope in Romford in 1992. In 2005, Guinness closed the Park Royal brewery. With the shuttering of Young’s in 2006 (yes, I know there’s still brewing on the site, but it’s not a commercial operation), in 2007 brewery numbers in London hit what was almost an all-time low, of just 10. It’s a little-known fact that the biggest brewer in London is Anheuser-Busch. Far more people have seen the brewery than know it’s run by A-B: it’s right by the finishing line on the Thames at Mortlake for the annual Oxford versus Cambridge University Boat Race, one of the televised highlights of the British sporting year. A-B acquired a lease on the brewery in 1995, four years after its previous owner, Grand Metropolitan, had sold off all its brewing assets after the government’s Beer Orders of 1989 saw all Britain’s then big brewers begin to split brewing from pub owning. The site already brewed, under licence, all the Budweiser sold in the UK, where the beer is one of the leading premium bottled/canned lagers, with something like three per cent of the UK beer market, and Anheuser-Busch obviously decided it was worth running its own production facility. While the other Grand Met breweries went to Courage, therefore, which was then bought by Scottish & Newcastle in 1995, Mortlake flew the A-B flag, albeit leased from S&N. Grand Met had inherited the Mortlake brewery when it took over Watney Mann in 1972, and Watney’s had acquired it more than 80 years earlier, in 1888. The brewery is sometimes said to descend from the monastery brewhouse at the Mortlake Manor House, owned by the Archbishops of Canterbury, and to date back to the 15th century. However commercial brewing on the site does not appear to have started until some time after the Manor House was pulled down in the 18th century. The brewery that Watney’s acquired had developed out of two separate small breweries both mentioned in 1765. These were amalgamated in 1811, and after several owners had come and gone the business was being run in the mid-1850s by Charles John Phillips and James Wigan. Under Phillips and Wigan the brewery prospered, gaining a high reputation for its bitter ales, and it was extended and rebuilt in the late 1860s: a roundel with the initials “P” and “W” can still be seen on the high brick wall that faces Mortlake High Street. Wigan left the partnership in 1877, and the Phillips family continued to run the brewery until Charles John Phillips retired in 1889. So the sharks have started moving closer to Scottish & Newcastle. This is the latest in a series of foregone conclusions in the British brewing scene since a Conservative government decided it would be a jolly idea to partially sever the tie between brewers and pub ownership with the Beer Orders of 1989. The result, which had been predicted as far back as 1950, by a right-wing economist called Arthur Seldon, writing in The Economist. was that the big brewers – Bass (including Tennents of Scotland), Whitbread, Allied (Ind Coope, Ansells and Tetley’s), Courage, Grand Met (Watneys), Whitbread and S&N, quickly abandoned pub ownership almost entirely. Then, because brewing in the UK isn’t that profitable, the big brewers abandoned brewing, so that by 2001 only Scottish & Newcastle was left of the Big Seven brewers of 1989 – the rest merged with others or transformed into something else, such as distillers or hotel companies. S&N, which swallowed the brewing interests of Courage and Watney, rose from being the smallest of the Big Seven to being the largest UK brewer, while the rest of the industry was brought by Interbrew of Belgium (Whitbread and part of Bass), Coors of the United States (the rest of Bass) and Carlsberg of Denmark (Allied). Unfortunately for S&N, it never dominated its home market the way Heineken, Anheuser-Busch, Carlsberg or SAB of South Africa did theirs, and it has never been able to find the transformational deal that would turn it into a true and invulnerable giant. It bought Kronenbourg off Danone in 2000, and became the biggest brewer in France; it bought Hartwall of Finland in 2002 and gained a half-share, with Carlsberg, in BBH, owner of the biggest brewing concern in Russia (to Carlsberg’s great annoyance). But what it really needed to do was acquire a truly global coverage, the way Interbrew did by merging with Ambev of Brazil, or SAB did by merging with Miller of the United States.